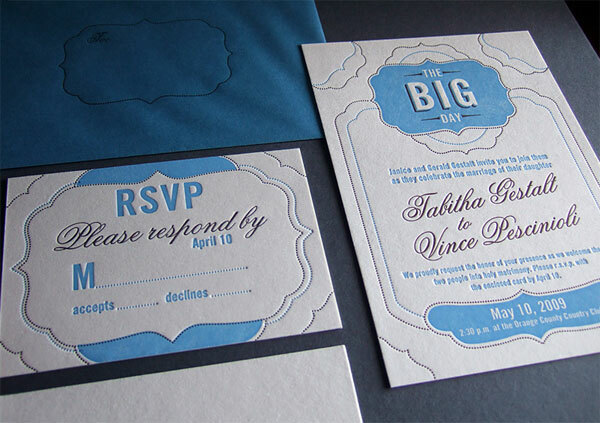 I’m jazzed about the recent remodel over at Thomas-Printers Invitations. 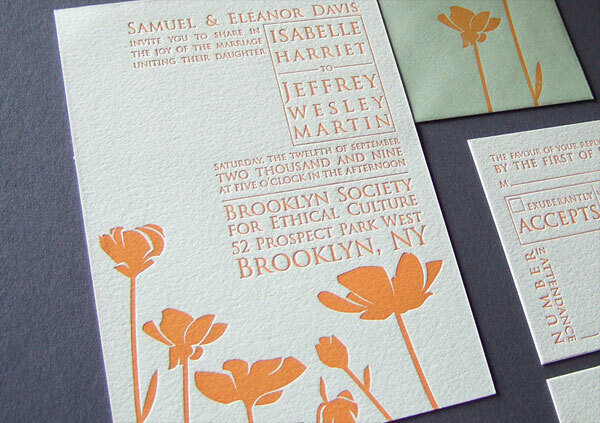 Kseniya Thomas does fantastic letterpress work, and the designers that she works with create such a beautiful range of designs, which are now available as a ready to order collection with customizable options for paper color, ink color(s), and typeface(s). 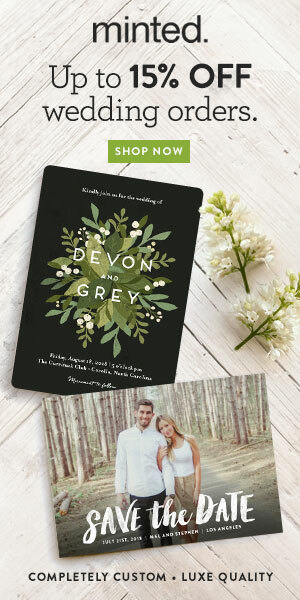 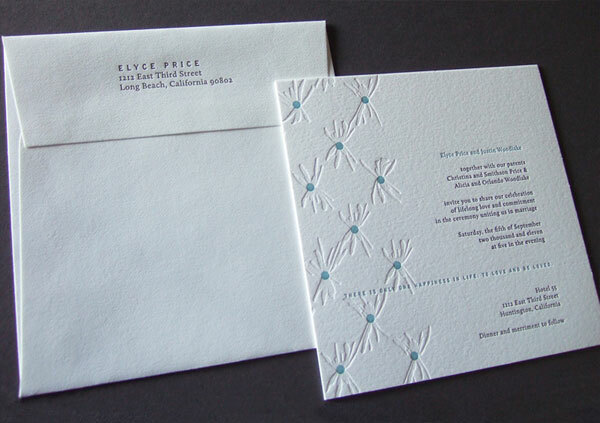 And, like its parent company, Thomas-Printers Invitations tries to make as small an environmental impact as possible, recycling plates and waste paper, and using tree-free and recycled cotton paper to create letterpress pieces that are both lovely and eco-friendly. 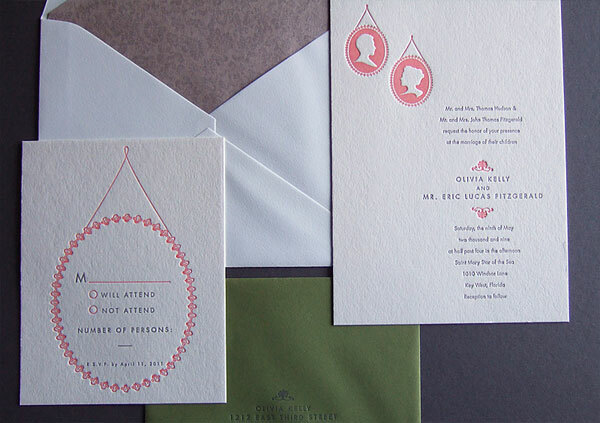 Here’s a selection of the designs that you can find in the Thomas-Printers Invitations collection, and they’ll be debuting 8 new designs at the National Stationery Show this year, as well. 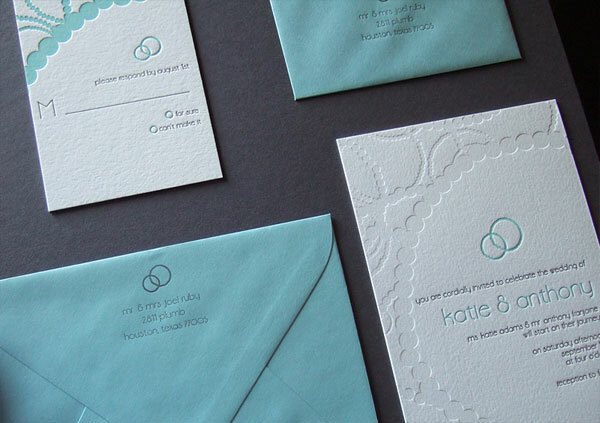 Can’t wait to see the brand new designs!